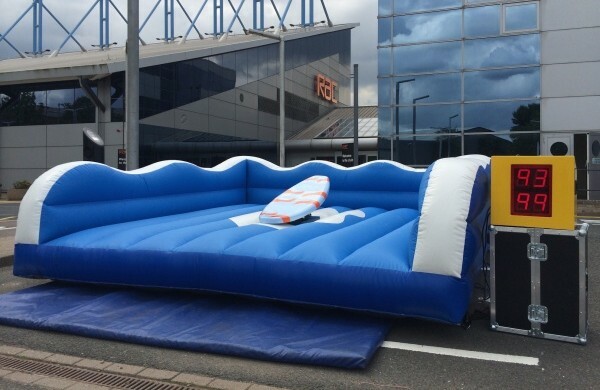 Make your event go with a splash with the Surf Simulator Hire. Watch your friends and family compete to stay on and take the record on this fun and safe party piece that’s guaranteed to please. 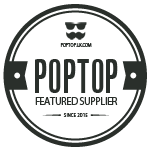 If you have any specific requirements or would like a quote, please don’t hesitate to call us. Test your balance, and agility as the surfboard tries to throw you off with an inflatable bed for your inevitable wipe out! The operator controls the board’s rocks and tilts with settings to suit a novice or a self-proclaimed expert surfer. We also have a range of props and accessories to complete the perfect beach or Hawaiian themed party. Including surfboards, a Tiki bar, surf shack, palm tree entrance as well as manned and unmanned limbo games. With a variety of price ranges for different packages, we have something for everyone to make the surf simulator hire the centrepiece of your event. So Why Happy Days Events? All have Twin competition timer that shows the top score and the current score. They look the part with Real Looking Surf Board Attachment. All Surf Simulators come with a fully trained operator in a Happy Days Events uniform. We carry all of the required insurances and risk assessments. Most importantly we care, about every event, every customer and every rider. Standard door width gap required for the Surf Simulator to enter. 4.5 metres square minimum footprint. Power: 13amp sockets required within 25 metres. We have supplied Surf Simulator hire and Hawaiian party hire in Bedford, Bedfordshire, Berks, Blackburn, Bournemouth, Brighton & Hove. Other Places we have visited with our surf simulator Hire are Luton and Buckinghamshire also Cambridge and Cambridgeshire. Other places such as Northampton, Peterborough, Birmingham, Leicester and Leicestershire. We travel nationwide and have taken our Surf Simulator Oxford, Essex, London and Reading. We have also completed Surf Simulator Hire in Leighton Buzzard, Nottingham and Oxfordshire.